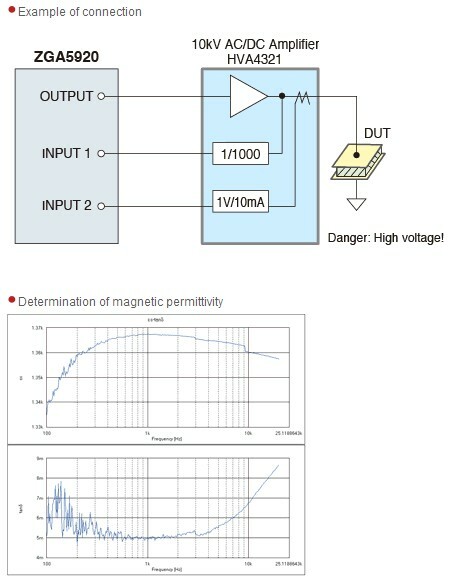 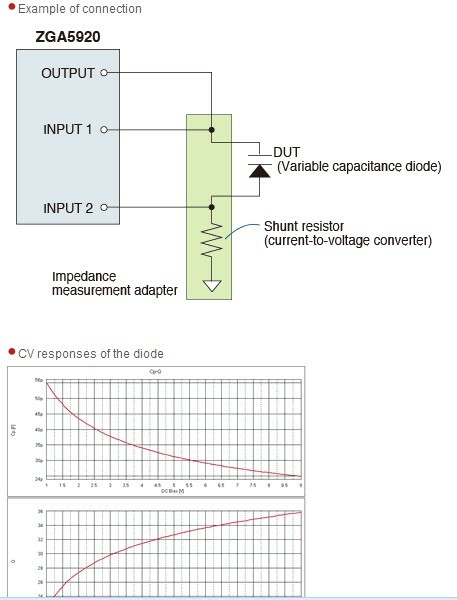 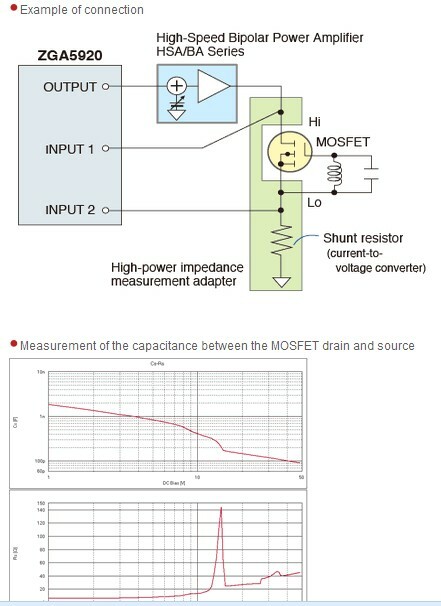 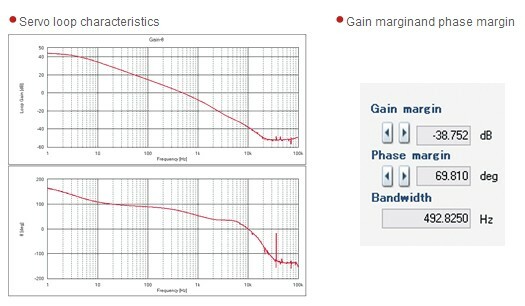 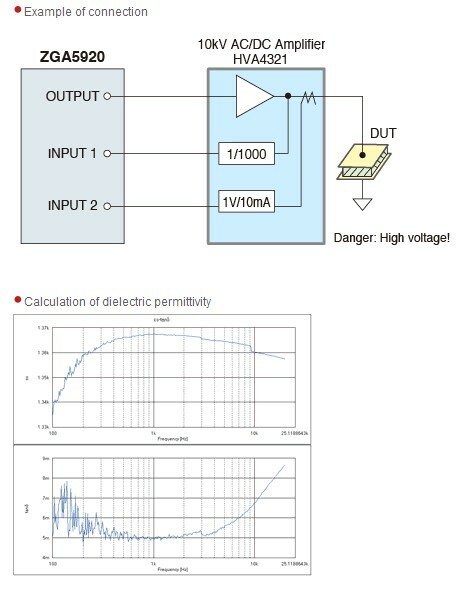 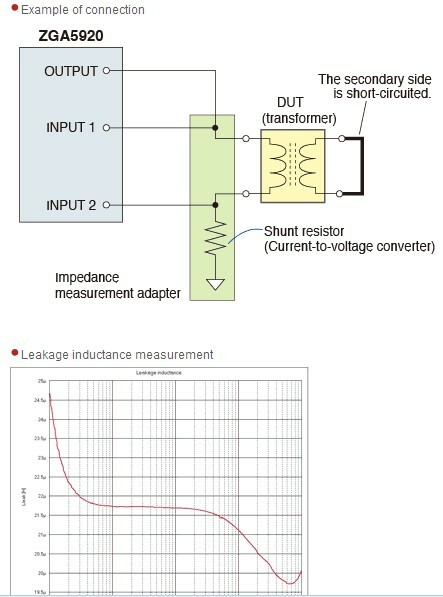 A/D converted input signals undergo Discrete Fourier Transform (DFT) to calculate complex impedance values and obtain parameters and characteristics specific to the DUT, such as its capacitance, inductance and quality factor. 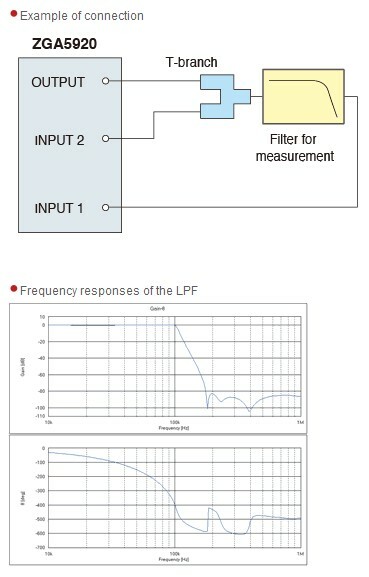 Original NF algorithms are also applied to allow equivalent circuits made up of R, L and C along with the constants for those circuits to be estimated from the complex impedance spectrum obtained by sweeping the frequencies. 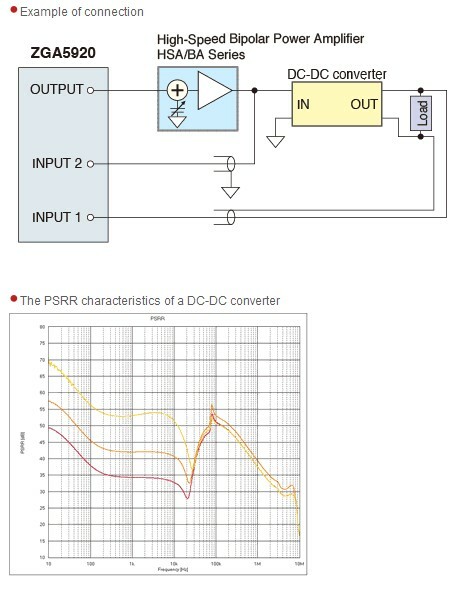 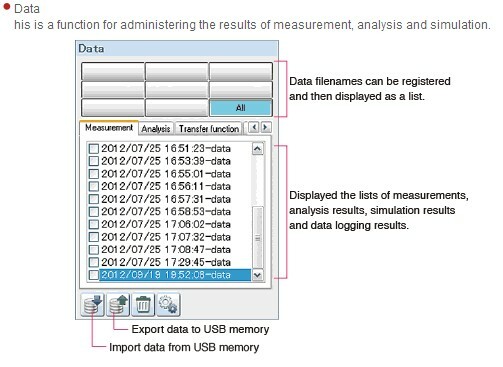 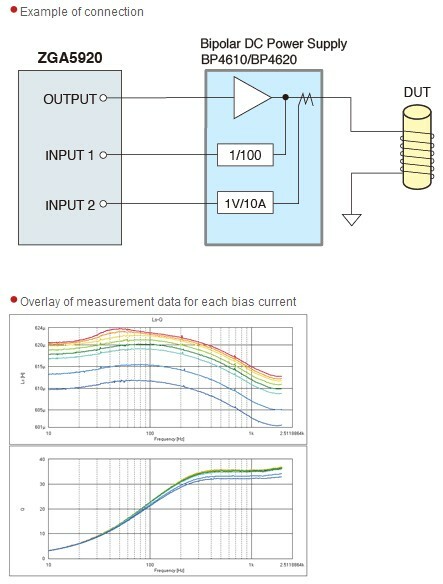 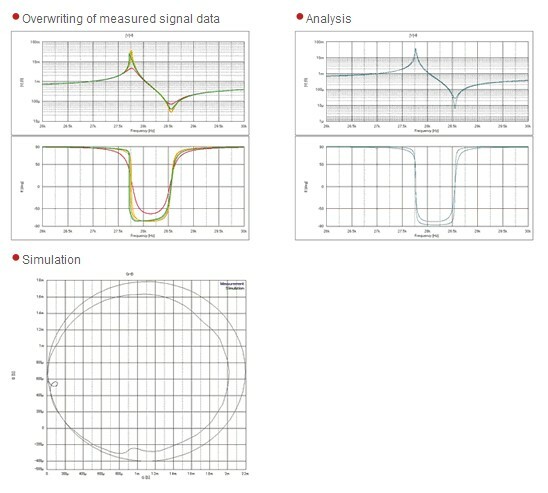 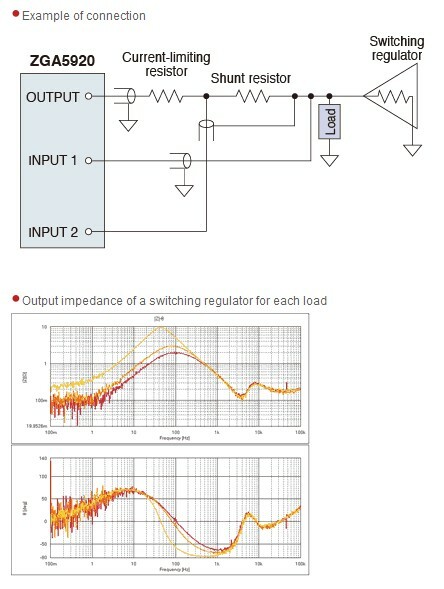 In servo analysis, data such as the loop cycle gain and closed-loop gain are used to obtain transfer functions (circuit model) and run simulations of the loop cycle gain and closed-loop gain. 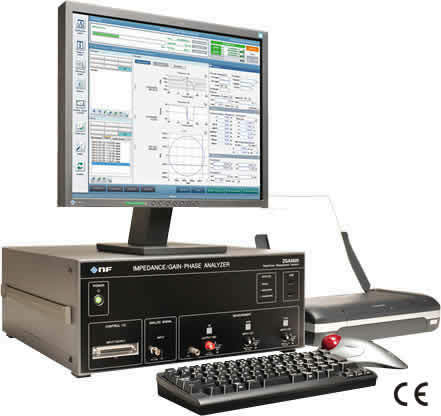 The NF ZGA5920 Series Impedance/Gain-Phase Analyzer is designed and developed as the comprehensive analyzer for measuring impedance and gain-phase, and for accurately determining the responses and performance of measurement objects. 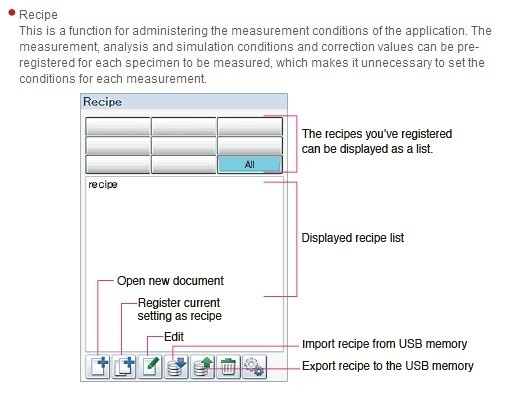 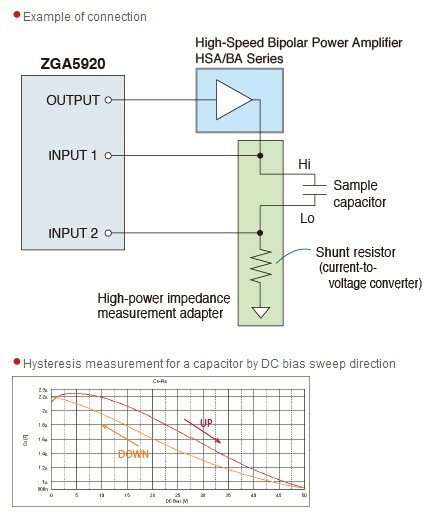 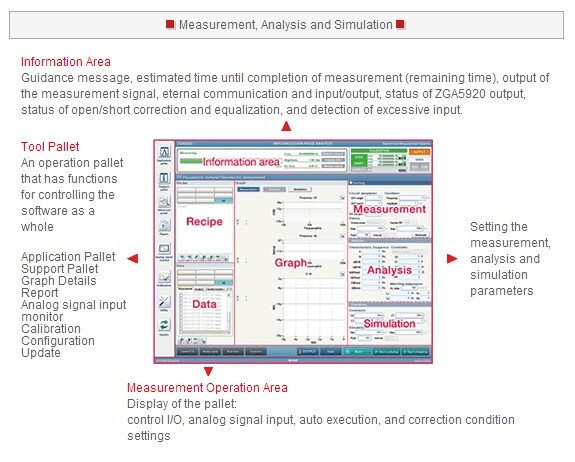 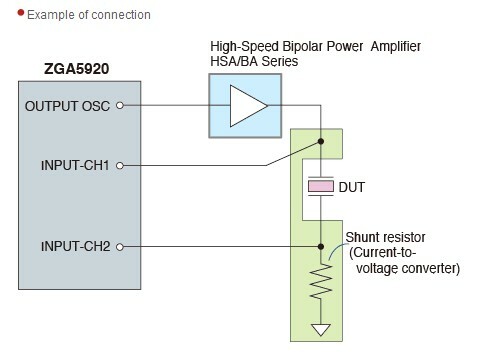 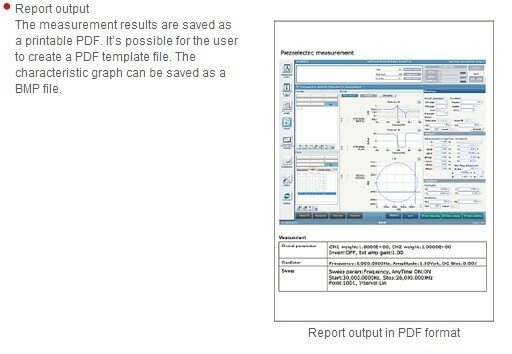 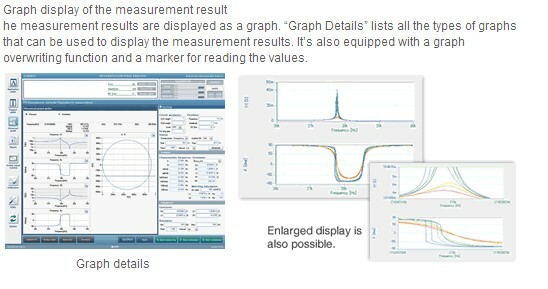 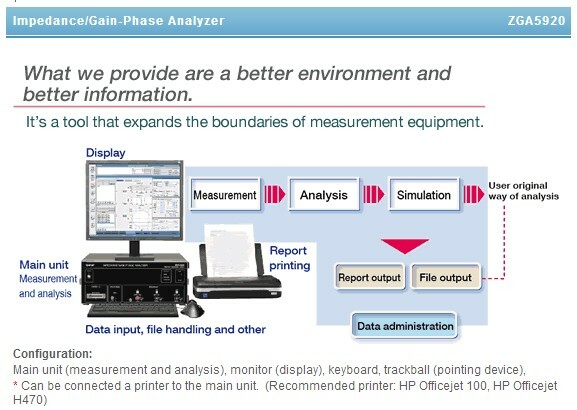 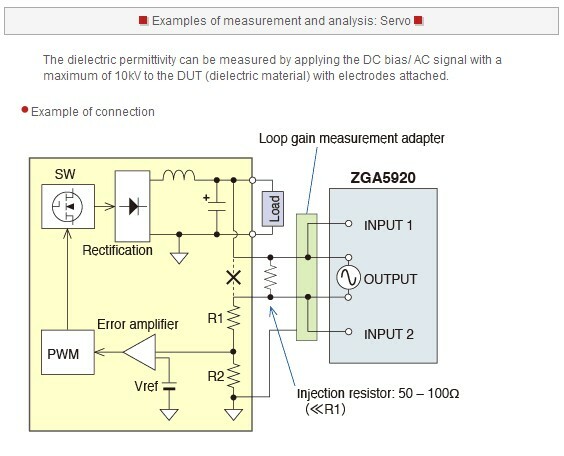 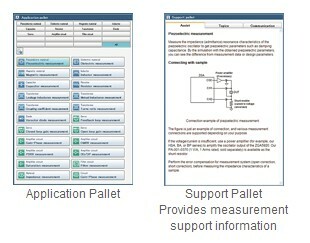 This highly detailed and integrated analysis of a wide range of diverse characteristics makes ZGA5920 Series invaluable not just for materials research and the development of application products, but for problem solving in all sorts of fields.